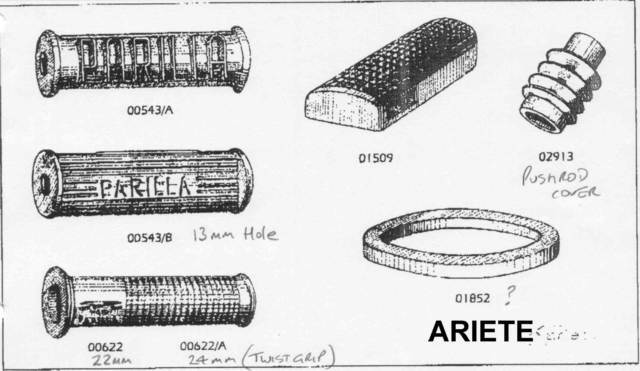 Unfortunately I am now out of stock of all Ariete products. 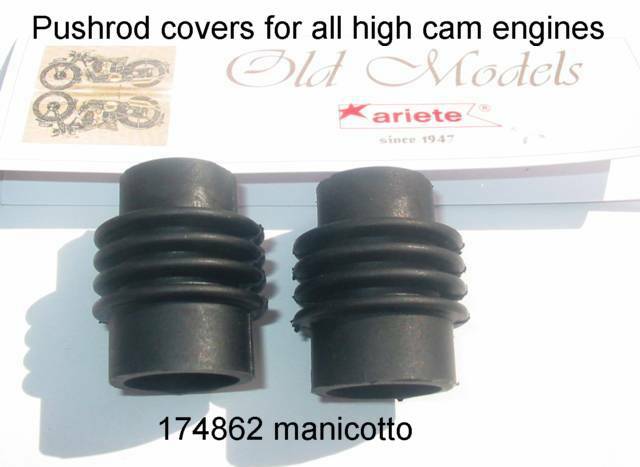 The minimum order to replace the hi-cam parts is rather too large for me to contemplate restocking. You will find Ariete stockists in most countries worldwide and they should be able to order whatever you need from the catalogue as part of a larger order. In the UK Carrot Cycles & North Leicester Motorcycles may be able to help. Usually split or too hard to seal properly they have been a problem in the past. NOS are sometimes available, & can be usable, but I have had rock hard ones too. These are brand new & supple. 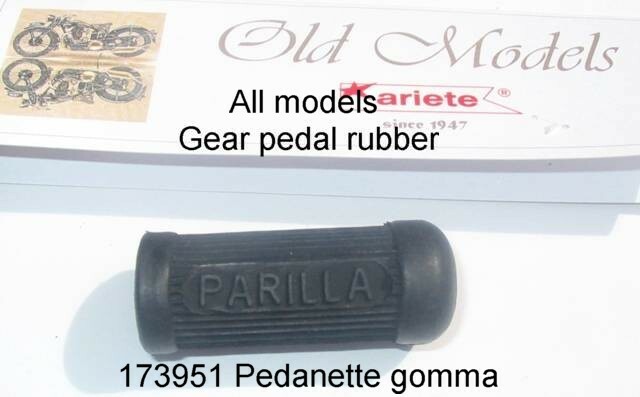 Used on nearly all models singly or two for the heel & toe type shifters. Cast in Parilla logo & ribbed. 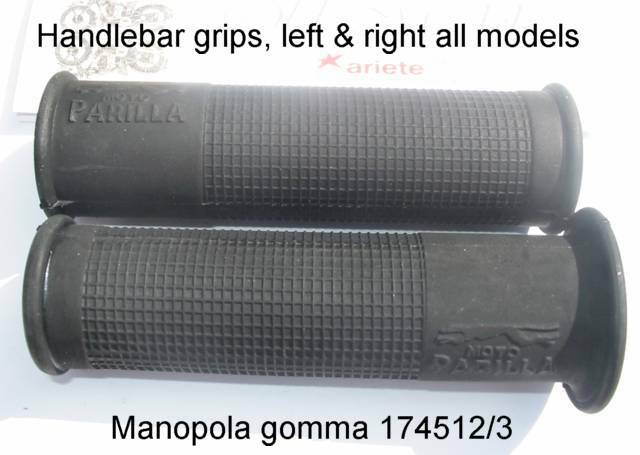 Lovely grips with a cast in dog logo above the MotoParilla script on both sides. Used on most models & so nice they look good even on the ones they weren’t designed for!